I don't know where the time went, but yesterday officially marked Paisley's one month birthday!!! I hate how quickly time seems to move - and it gets faster with each baby! 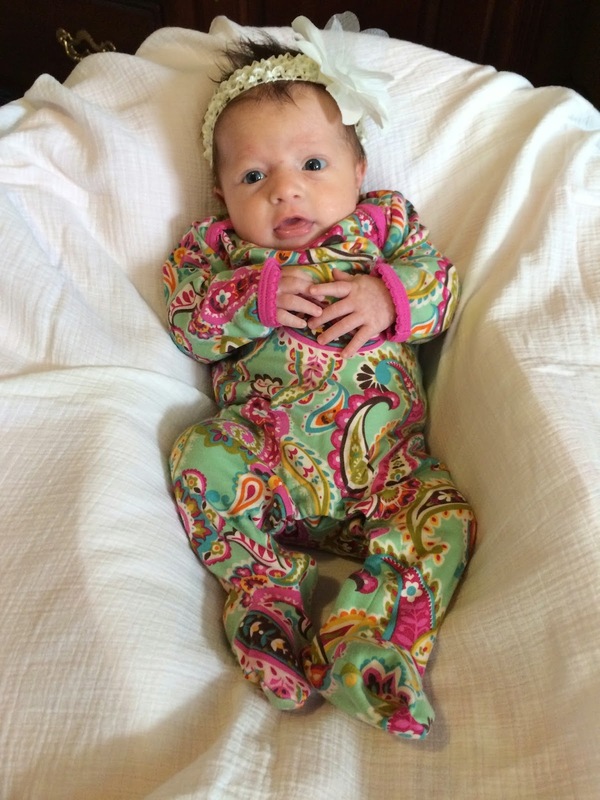 Today we had Paisley's one month checkup. Girlfriend was all smiles showing off her personality to the doctor and nurses until it was time for her to get one shot...and then she cried harder than I've ever seen her cry. My poor mama heart was broken. I dread the two month checkup and all the shots that go with that appointment. Having fun at the doctor's office - before shots! 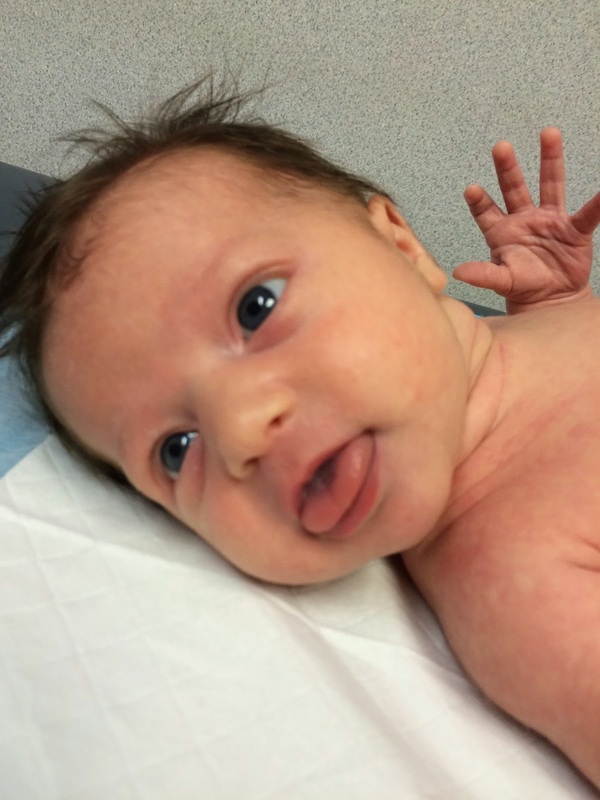 The doctor was very impressed with Paisley's love of tummy time and her ability to lift and hold her head up! Woohoo Go Paisley! 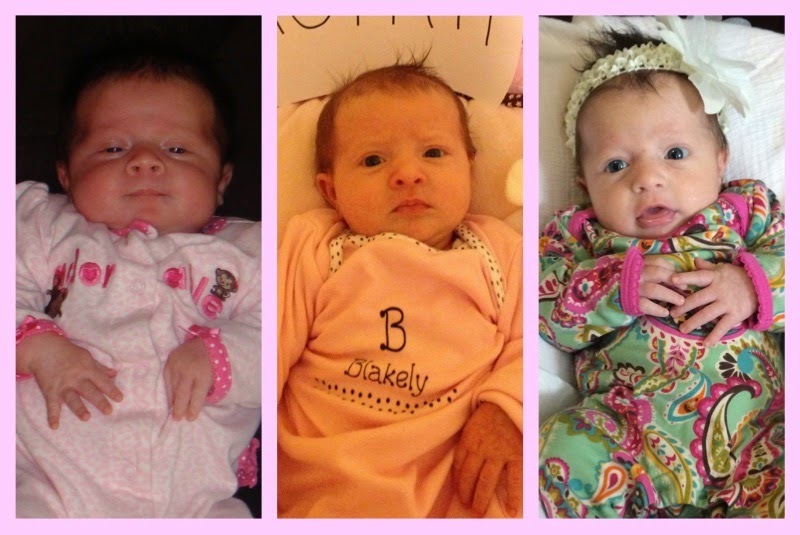 And just for fun here's a comparison of my three girls at one month! I found your blog through the Show & Tell link up last week and love reading your posts. I'm due with baby #3 in March so I love reading how you do it with your cute little ones! You have an adorable family! Thank you so much for your kind words about my family! Good luck with Baby #3! I look forward to reading your blog!